Before clocks and watches, smartphones and tablets, the Egyptians made use of a stick or pillar, called a gnomon and the length of the shadows it cast upon the ground to tell the time of day. 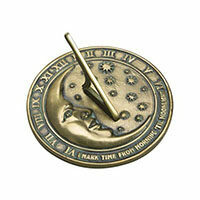 The sundial or shadow clock is the earliest time telling device and the most ancient of scientific artifacts. 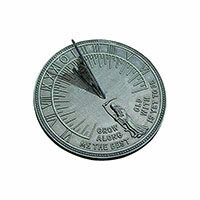 Once just a stick in the ground, the sundial design has come a long way from its modest beginnings in 3500 BCE. 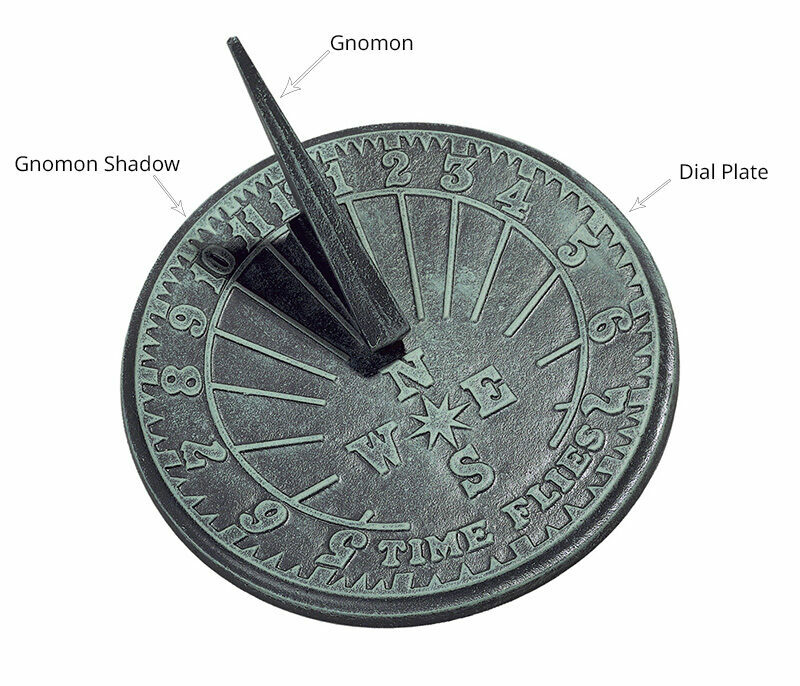 Modern sundials have been upgraded to include a dial plate on which the gnomon rests. The dial plate - which is most often circular or conical in shape - is marked on the surface with notches to help tell the time of day, and in some cases, to determine the date. Although sundials can be constructed from a variety of materials, the most common are bronze and cast iron for their longevity and ability to weather gracefully. 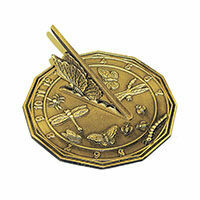 There are also two types of sundial designs, horizontal and armillary, and each has its own notable distinctions. 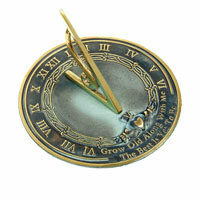 As the world moves quickly around us, sundials offer more than just a way to tell time. They are an artistic addition to our outdoor spaces which bring us closer to nature and history, providing a departure from distraction and a rare moment of reflection. 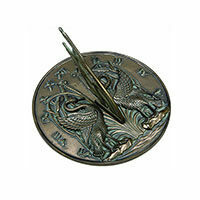 The two most common types of sundials are Horizontal and Armillary. Each brings a unique ornamental distinction to outdoor spaces and the choice between the two is often completely dependent on design preference. 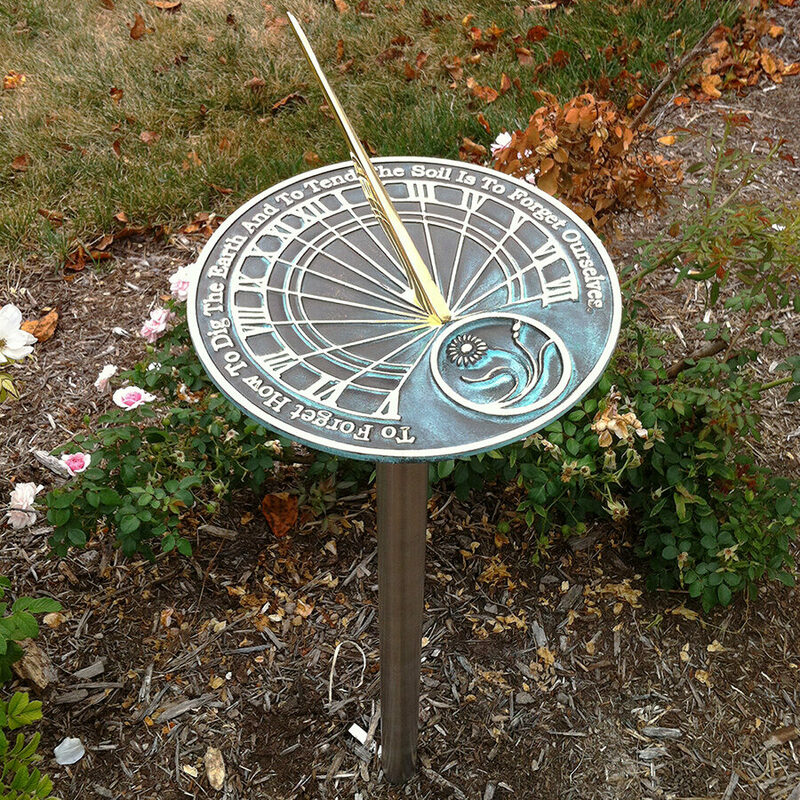 Horizontal Sundials lay flat against a surface or can be perched on top of a pedestal and are generally easier to position than armillary sundials. The surface of their dial plates are often embellished with meaningful inscriptions and charming designs, making horizontal sundials a popular gift and token of remembrance or celebration. 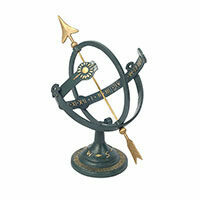 Armillary Sundials were invented by the ancient Greeks. Their armillary globes were models of the universe with earth at its center which displayed how they believed the universe worked and how the stars moved around the Earth. 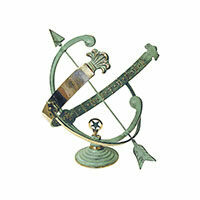 Modern armillary sundials are constructed with this ancient artifact in mind by using connecting circles, a centered band that is etched with time markers and an arrow shaped gnomon. 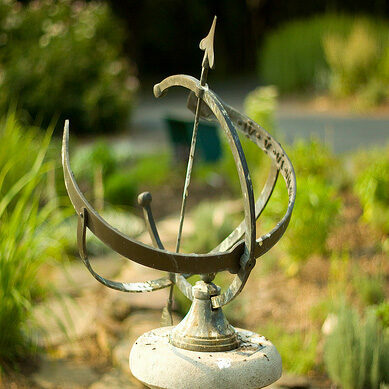 Armillary sundials require more involvement in their positioning, however they provide a striking focal point and conversation piece for any garden, yard or public space. In order for sundials to specify the time of day, the sun must be able to hit the gnomon and cast a shadow on the dial plate. Sundials need to point in the direction of true north with the tip of the gnomon aligned with the Earth's rotational axis. The direction of true north is not the same as the north magnetic pole, but instead is marked by the celestial pole at 90°N. Because sun time and clock time are not the same, the sun will appear at times to be faster or slower than our watches read. 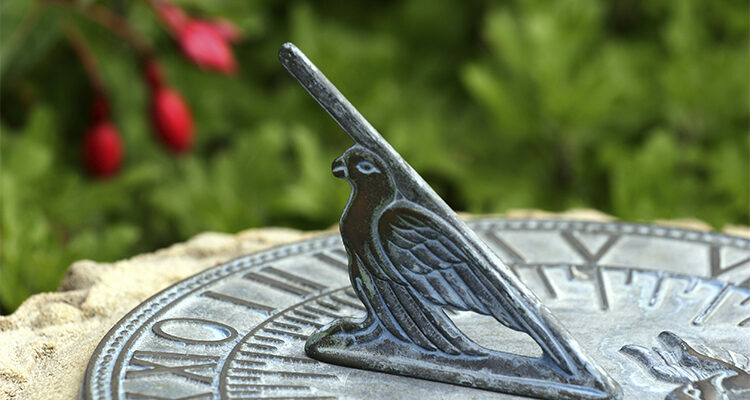 A compass is able to locate magnetic north (not true north) and can be used when positioning a garden sundial, though it is important to note that this method is not entirely accurate. One of the simplest ways to find an accurate measure of true north is with a compass application on your smartphone or through the use of a GPS. If you have either of these, you can change your settings to "true north" and the device will take care of finding the position of true north for you! 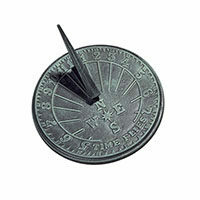 For complete directions on setting up your sundial, visit our How to Position a Sundial page.